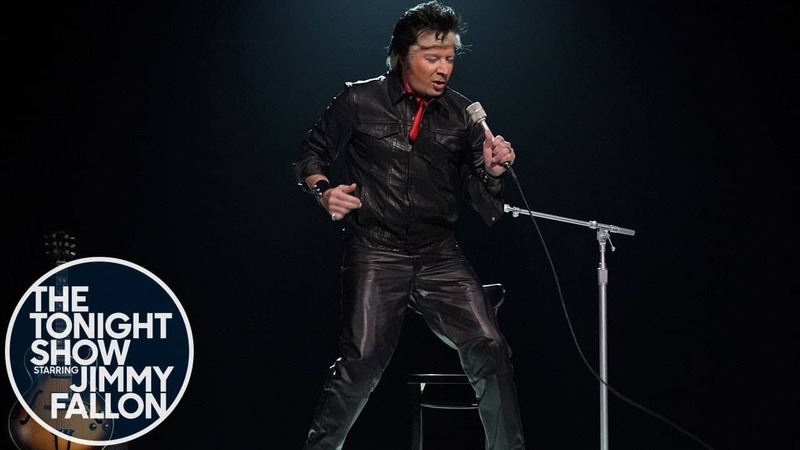 Jimmy Fallon jumped into the absurdly funny on Tuesday night when he decided to perform a piece dressed as Donald Trump impersonating Elvis Presley. The results were both hilarious and creepy at the same time. Fallon’s piece arrived just one day after Trump appeared in Mississippi to support Senator Cindy Hyde-Smith. During his appearance, Trump said people told him growing up that he looked a lot like Elvis Presley. Fallon jumped on Trump’s comments and offered his own rendition of “Jailhouse Rock” as envisioned by Trump. Everyone in my administration started to wail. Indictments headed down to the whole West Wing. You should’ve heard my lawyer, Michael Cohen, sing. Let’s rock. Everybody, let’s rock. was dancing to the jailhouse rock. Robert Mueller said the Russians fixed my votes. Manafort was caught lying under oath. and don’t forget George Papadopoulos. Manafort spoke to Julian Assange. Elvis’ hair was black, and mine’s orange. I’m all shook up, the walls are closing in. I’m a hunk of burning love for Vladimir Putin.